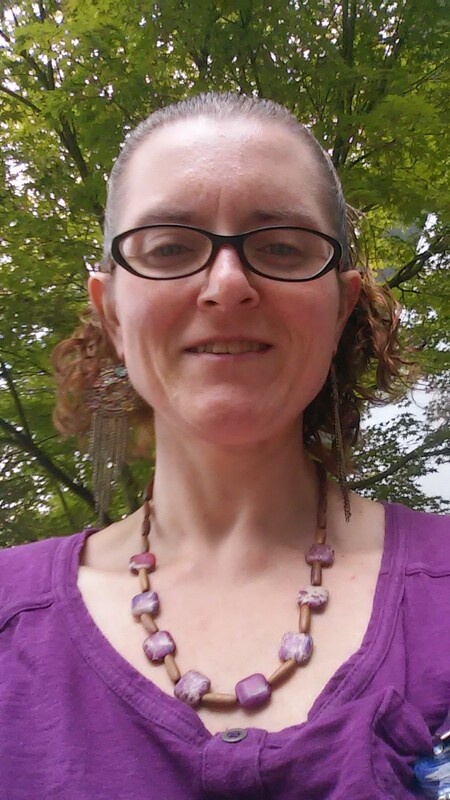 The Survivals of Jewels | Learning to thrive through sharing my true stories, healing through God, healing through crafts, helping others, and helping others gain better health. Please note, names have been changed for protection. When it came out 24 years ago to my mother that my dad had abused me, she only said she didn’t know. Come to find out in the past couple of weeks. She did. The feelings inside me are overwhelming. The strongest feelings of theses sorts ever. So much anger, hurt, pain and yet relieving as well. I have spent about a week in so much pain. It was if as though I had just lost the closest person to me without the chance to say goodbye. I kept remembering all the good times and thinking were they all things excuses? Did she really just spend 40 years hiding something that could have changed my entire outlook on life with happy memories. She created this delusion that she cared and wanted us to be happy, when the entire time she was covering up and trying to hide the truth. My understanding of being a mom, is caring and wanting the best for your offspring and protecting them at all costs. Was she really under that much choose to just keep it to one kid and it will be fine. Abuse that she could not say anything. The way she has talked about it for years was that she was manipulated. She now says it was similar abuse to mine. I know I was threatened so severely that it took control of me. Was she? Am I making an excuse? NO! I’m still so mad. If even a small thought ever crossed my mind that my child was being abused I would have pulled him away and saw if his demeanor changed. And I am talking about when your child is real small. You can tell from a very early age. Is this why I have no memory from before I was 6? My brother and sister can’t remember any of their childhood. My memories are not perfect, but everything is very vivid from 6 on. I, for many years blamed my sister for the beginnings of my abuse because it started right after she was born. If my siblings can’t remember anything and mine become clear at one age. Why are mine suppressed? My mom never said how much she knew, just that she knew. It leaves my mind to wander. She had to have known. She says my sister was a mistake. I see it as she had fucked up with me too far that this point and decided to make a better one. I still don’t know how that worked out for her except I am the only one with memories and she lives under delusion that she treated us well. I want to know why she made excuses for him. There was always some other reason why I was in pain or crying. Nothing was ever handled or stopped as it could have been. If you knew you were having issues, even giving you the benefit of the doubt, how can you let so many warning signs go. Was I chosen to be the one to be abused the most? What was going on? How cruel is it to make someone feel so low that you had the ability to change your own child’s life and chose not to. The fact that mom knew and did nothing is actually quite scary. She allowed me to be abused for life as it is. I grew up thinking this was a way of life and chose men that continually abused me. If I would have known that this was not a way of life, it would have been much different. I refuse to talk to her, changed my number and changed other things just to avoid/ her. What does one do when this happens? I have lost my faith and mom in one day. How can a God allow something to happen to someone so bad for life and have someone that can say something? Leaves me to believe there is no god. It can’t be. Did you know there is absolutely nothing about abuse in the bible. In fact it promotes it in Leviticus. I know Jesus came to save and forgive all. Think about this, my dad was a christian and confessed to a priest right before he died. Does this mean he is going to heaven as well? If that is the case, I don’t want to go. And now my mom is a christian after many years she returned to faith. I don’t want to be there with them. And no I don’t believe in hell either. There is no proof that these things exist. Mom and dad will be in heaven together, no way. With every sign that came out, how can you NOT know. I was trying to commit suicide over and over from 12-15. I was scared to take a shower at age 10. And that is when you stink bad. I remember one time tryng to commit suicide that they has to pump my stomach. I was in hospital for a few days. When I got out, they sent me to counselor. She met with me for all of 30 minutes at maximum. She sent me out of the room and pulled my parents in and met with them for over an hour. they cam out and I had refused to eat and my dad got me a thing of cookies from the machine. I hadn’t eaten in days. I was weak and just wanted to die. I never saw that counselor again. My parents however met with them regularly. Why did she forget about me? Couldn’t she see that I neede help? My counselors at school did. They were constantly calling my parents from school every time I was in the counselor’s office. No one cared. Not even mom. She would try to make me happy all the time. Try to cover up, come to find out. Delusion… a belief that is not true. I believed that no one knew and things were happy. We went to fiestas all the time, went to Disneyland, parties, the beach and even Hawaii. All the times my parents ere trying to make happy memories. Which are very vivid to me by the way and my siblings can’t even remember them. They just tried to cover up what was going on. Delusion… a false idea or belief that is caused my mental illness. Yes I have problems, yes I suffer from a lot of mental illnesses. But could most of them be caused by what I was raised to be? I am currently off the meds for most of the things but bipolar and schizo-affective. Why do I hear voices all the time? Could this be from being raised in fear? Why do I have major highs and lows? Is it because this is how I was raised? Constantly having terrible things happen to me and then being happy? I was raised to shut it all out? But, how can you ignore suicide attempts? HE broke my wrists 7 times. 3 on the right and 4 on the left. I told her it was falling backwards on my hand. But, how can you ignore this? I went through many colors of casts and no one asked the real reason. No one. My dad was the only one who knew because he caused them. There is no way you can break your wrists from falling backwards. It takes serious force to cause that and I was not THAT strong. Why didn’t the Navy ask questions. Maybe they asked my parents and they said every thing was fine. I know when CPS was called on me for picking my child up by his suspenders that come over look around the house and look for bruises. No one did that for me. Maybe they came over looked around and saw nothing was wrong. Maybe they ignored all the signs. By the time I reached high school my counselors there told my mom that something was seriously wrong. She probably panicked as she got me off the island as quick as she could. I left going to my grandparents scared of what would come of this. It took two weeks before I left and my dad never touched me. He acted nice the whole time. My mom looked scared a little. Were they scared that I said something? Knowing this, that everything would have been nice, I should have said something a lot sooner. It is almost like they were acting scared. My dad kept staying at a friend’s house and coming back. Was he scared? Probably. And this is a good thing. He should have been. When it finally came out to a counselor in Vegas when I was 16, my mom acted shocked. The Navy came to us and investigated. They spoke to me, my siblings, and my mom. It’s almost as if they didn’t believe me. My sister had even seen the gun and drew it exactly a it was and they didn’t believe me. My mom says she thought it always locked away. My sister and I knew where the gun was even kept. How can they not believe me? What is wrong with our military system. Do they cover up every bad that happens to make themselves look good? Shocked, that’s how my mother looked. She cried a lot. She must’ve been scared. Scared of what would come of her if she said that she knew. Or even if I said she had to have known. I didn’t think for a second at that time that she knew. It wasn’t until recently when I asked what she DID know that it came out. She answered with solemn answers to try to cover it up. She admitted what she went through. Knowing that, there is no way she didn’t know. I am lost. I can’t stop thinking about it. It goes through my head almost every day. I even woke up many times even last night with nightmares not of my dad anymore, but of her. I see her look every time I showed any sign that something was wrong, or every time she tried to cover it up. Her face is what I see in flashes all the time. She actually scares me. That someone like that exists. Forgive… to stop feeling anger to someone that has done something wrong. Man did she do me wrong. I grew up christian and was taught to forgive. “Forgive them of their trespasses” it says. The bible, another delusion. No one can even tell me the truth of where it even came from. How can I believe something that has been passed down from generation to generation ad interpreted along the way. Man’s mistake. You know whe you have a line and you whisper something in one ear ad it is passed down the line and the phrase is way different from the how it began? This is what people believe in. Lies from the beginning. Forgive… to stop blaming someone. I blame her for not saying anything and actually hiding the truth by covering it up. I feel very angry, but not hate. It is not in me to hate. I hated a long time ago and it was a terrible feeling. I was angry all the time and no one even liked being around me. Now I have gone through hate feelings on and off throughout the years. I am to the point where I just can’t anymore. Hate… a very strong feeling of dislike. Yes I strongly dislike what has happened and how it was just covered up don’t get me wrong, but this is held strong but not strong enough to exactly hate. Will I ever speak to her again? Probably, but it will not be pleasant. Yes, she will show up at family functions, yes I will have to see her in order to see the rest of my family. But, I will tolerate her. Not love her. I think that is where I differ. I will tolerate her, but not talk, not hate. I refuse to turn myself into a hate machine. I refuse to live in anger at this point in my life. I will continue talking through all the things that have happened to me with trust for those who now know. But, the feeling of this delusion will haunt me probably forever. The on question is why. I can’t take it. Why?! Why would anyone cover something so bad up? How can anyone live with the guilt. She must have been threatened. How can you even marry someone that is like that and stay. I know she said once that she married him to get away from her parents. But, how can she just stay with him knowing how he never stopped finding ways to abuse me? WHY?! Someone tell me why it would just be covered up? Please! This is why I believe my mother is a delusion. She is the epitome of a delusion. She mad me believe a thought that was not true for my whole life. She is the reason everything has happened to me. She could have aid something. She could have stopped this many years ago. She could have even left him and took us to a much better lace. Any place would have better. Even the streets. Yes, I blame her. Not for the actual acts, but for not stopping them. I’ve come to realize, I’m addicted to food. I’m so used to eating 100 calories every two hours, that I count down every minute til I eat. I count every calorie every day, all the time. It’s become an obsession. I have tried adding calories but I feel horrible physically when I do. And I ate a blizzard last week and still lost three pounds. I’m now at 152lbs. with 20lbs of it just skin. I don’t know what to do. I’m obsessively addicted to calorie counting, eating, and food. No gain, no loss this week. Still at 154lbs. So, I looked up what the ideal weight is for me and it said between 139-154lbs. And with all my hanging skin, if I had it removed, I’d probably be around 140lbs, because I have a lot. So I guess this is the end of the road. Time to maintain. It’s gonna be hard to change my eating habits. So, yesterday I got a comment on my about me page from one of my abusers. I don’t know how they found me. But, when they do, they usually hack into my email, facebook, and probably here too. So, look out for terrible posts. In this comment, they said I abused them and abandoned them as well. Well, I can’t recall any abuse unless it was reaction to what they were doing to me. And of course I abandoned them. They were terrible to me. They said that they are living with that pain. Well, can’t you imagine what I went through? The pain I lived with for many years as I was going through it and afterwards as well. Well, as much as I say I’m healed from all you terrible men, that comment disturbed my sleep last night. Why can’t you just leave me alone? Why do they still insist on contacting me? I’ve put you out of my life, now put me out of yours. Please. Sorry, for the rant, but I built this blog not just for recipes, but to heal. And I find that writing it down is part of that process. Lost another 3lbs last week. And I cheated one day and went over by 200 calories. I can’t explain it. Some weeks I stay right on track and barely lose anything. Then, there are weird weeks like this one and I lose 3lbs. Weird, just weird. 154lbs!